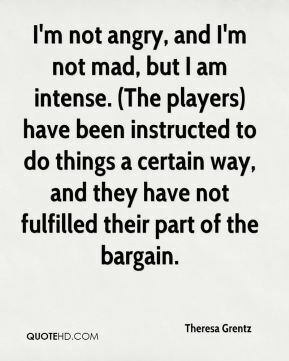 I know people are getting angry and frustrated because they feel helpless because they want to do something and want to do it now. 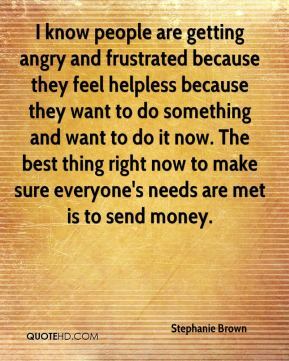 The best thing right now to make sure everyone's needs are met is to send money. People have been getting angry. 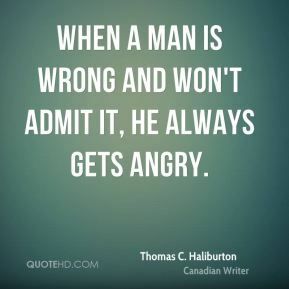 I'm sure this is an influence to some degree (on governments). 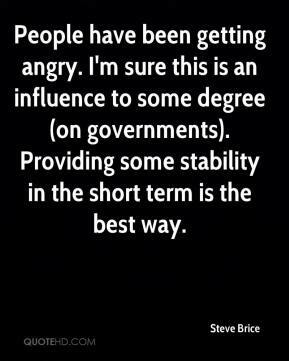 Providing some stability in the short term is the best way. 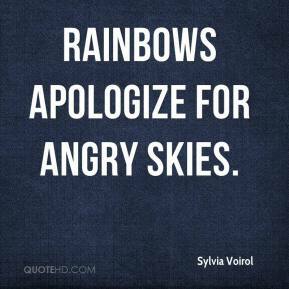 I'm not sorry I said it. I was angry and maybe a little overly emotional, but I'm glad I brought this issue out in the open. It's important that we address discrimination against conservatives in this country. Which do you prefer, ... 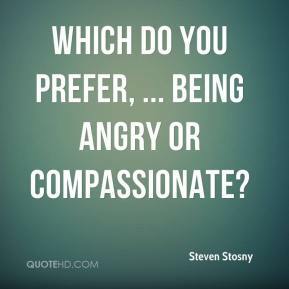 Being angry or compassionate? 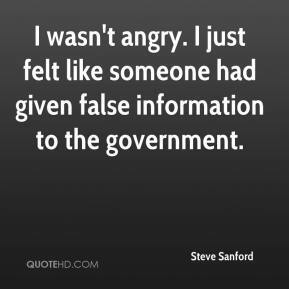 Michael was so angry over what happened in Orlando. He was on a mission the next year. And that's something that no one else will have again. 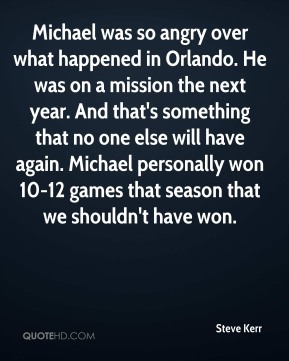 Michael personally won 10-12 games that season that we shouldn't have won. 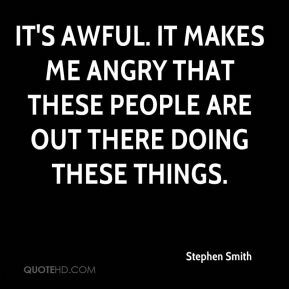 It's awful. It makes me angry that these people are out there doing these things. 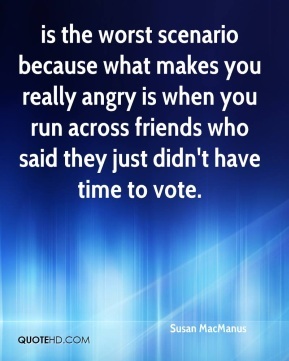 is the worst scenario because what makes you really angry is when you run across friends who said they just didn't have time to vote. 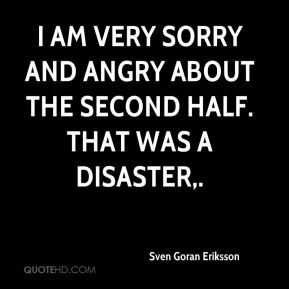 I am very sorry and angry about the second half. That was a disaster. 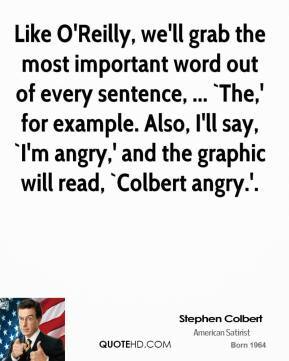 The American people have a right to be angry about this. At this stage we should not still be having these problems. 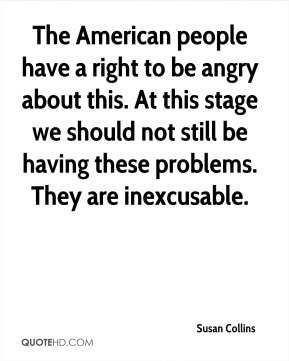 They are inexcusable. 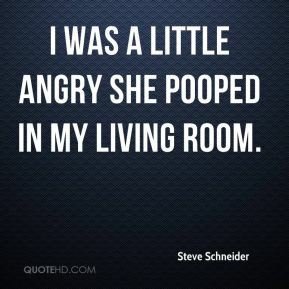 I was with him, and I'd see how angry he'd get when somebody asked him about the (1919) World Series. 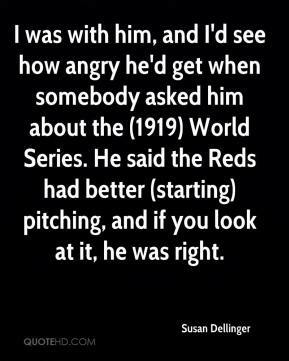 He said the Reds had better (starting) pitching, and if you look at it, he was right. 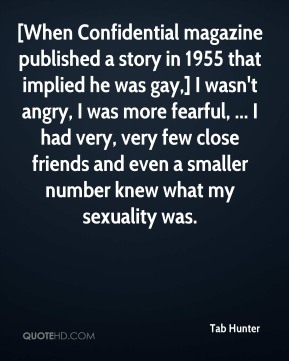 [When Confidential magazine published a story in 1955 that implied he was gay,] I wasn't angry, I was more fearful, ... I had very, very few close friends and even a smaller number knew what my sexuality was. 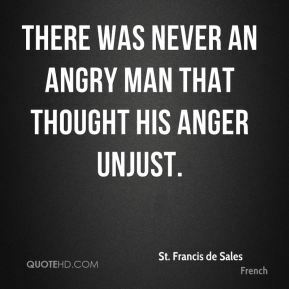 They were angry at the way things had gone. There was a bit of ranting and raving and people having a go at each other. We had to calm them all down. They knew that a lot of the Celtic players were here in May. 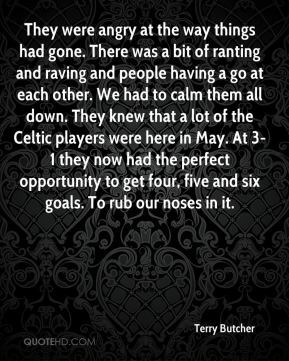 At 3-1 they now had the perfect opportunity to get four, five and six goals. To rub our noses in it. I'm angry because it's clear to me that this didn't have to happen. 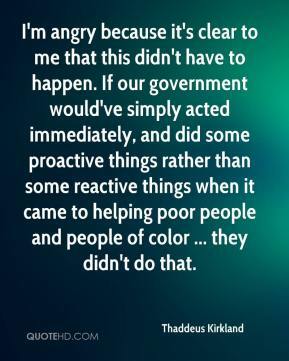 If our government would've simply acted immediately, and did some proactive things rather than some reactive things when it came to helping poor people and people of color ... they didn't do that. 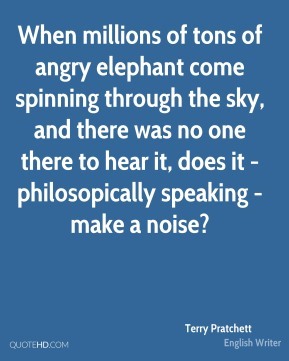 When millions of tons of angry elephant come spinning through the sky, and there was no one there to hear it, does it - philosopically speaking - make a noise? 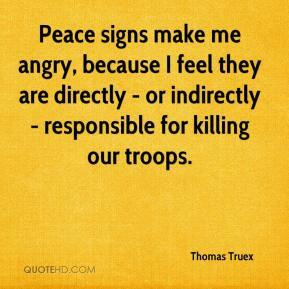 Peace signs make me angry, because I feel they are directly - or indirectly - responsible for killing our troops. 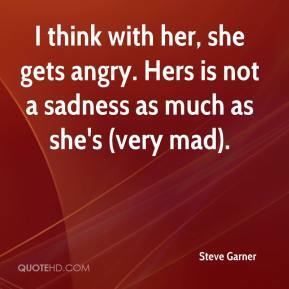 She's very upset, and she's angry. She wanted to know why the staff was not paying attention. 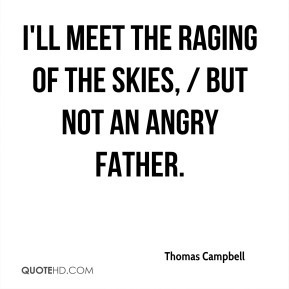 I'll meet the raging of the skies, / But not an angry father.